Since I left the UK and moved to Singapore for a few months I've had so many questions about it from people who are considering a similar move. Throughout my working life I've lost count of the number of people I have heard in the office saying, 'I wish I'd lived abroad when I was younger' and I really didn't want to be the one saying that in future. Today's post is about turning those dreams of living abroad into reality, and whilst everyone's life and journey is different I hope some of my thoughts will help and inspire you. What if there is more out there? What if I could be happier living somewhere else? What if I get older and become one of the people who say to me 'I wish I'd lived abroad when I was younger'? A few years later and I still hadn't taken that plunge and lived outside of the UK. Then in 2017 I was in my latest finance job, plodding along and not really enjoying life to its fullest. I had met my partner by this point and things were going really well but we felt that a fresh start would do us good after a difficult few months. I was sick of being down in the dumps every morning getting up for work and decided it was time to quit the finance path and just do something else! I wanted to do something more rewarding and was craving the flexibility which was lacking in my life. Luckily I'd built up decent savings having worked hard since I left university so I decided quite suddenly to leave my full time job and start a Doctorate in Business Administration. My plan is to work in a university business school as an academic and lecturer. Becoming a full time student again, with the option to work on a distance learning basis, gave us the freedom to look at options of living abroad. 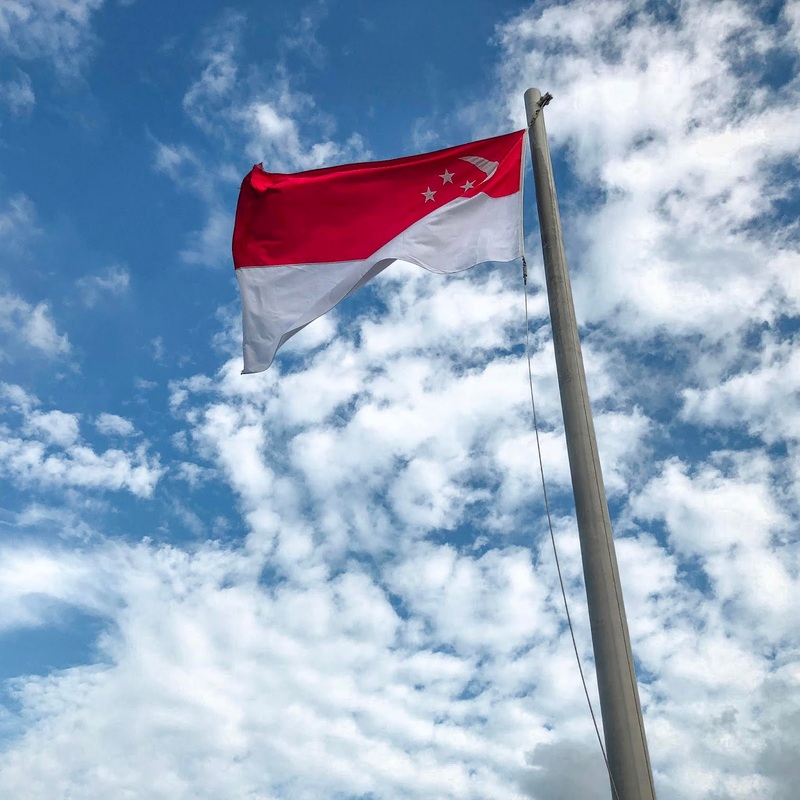 My partner spoke to his employer and he managed to negotiate a move to the Singapore office. This wasn't somewhere I'd ever thought of living but the sound of year round sunshine, weekend trips to destinations like Bali, Thailand, and Malaysia and I was sold. It's not all plain sailing and sometimes I doubted if it was even going to happen when we had issues getting my visa (fellow expats you know the pain). The usual worries built up in my head: how will I cope without friends and family? What if I hate the food? What if I don't make any friends? I wrote a whole blog post about the top 10 worries about moving abroad with some tips on how I coped to help those of you who have similar worries. Everything happened fairly quickly and I think it's true that sometimes it's the best way as you don't have time to look back. Singapore is everything I thought it could be and more. 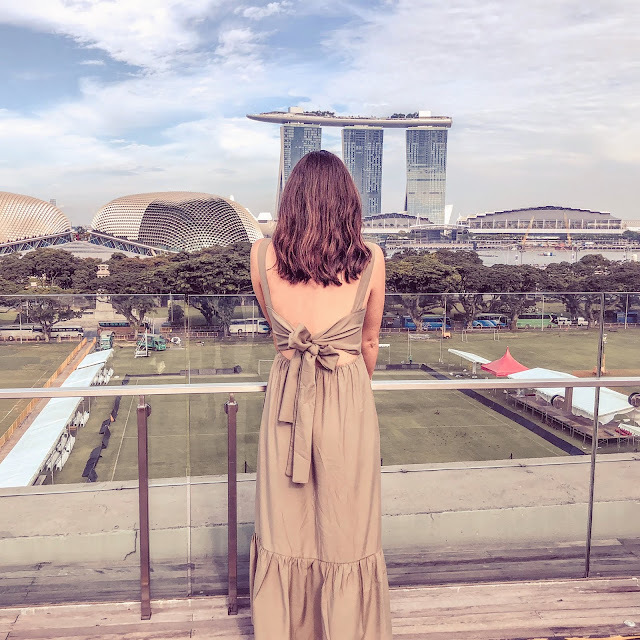 For a taster read these truths about being a Singapore expat I recently blogged about. We are returning to the UK in a couple of months for health reasons, so our time abroad was short and sweet. I need a kidney transplant and it looks like it will be soon. This was even more of a driver for me to move away for a while: it was a 'now or never' kind of feeling! I will never regret doing this and feel like it's made me a more rounded person, more than any career ever would. So if you get that chance to relocate and something is telling you to go for it, even if the timing isn't quite right, don't miss out. The 31 year old me is screaming at the 21 year old me, why didn't you do this sooner?! They say life is short but it's pretty long at the same time so if you can spend some of it living in a different place and experiencing new cultures then go for it. We are so lucky in the age of technology that there are so many jobs which can be done remotely and countless blog posts out there with tips on how to make this happen. I've had the most memorable year of my life I could ever ask for and I feel like the luckiest girl alive. Many friends with children have said to me 'there's never a right time to try' or 'if you wait til you can afford it you will wait forever'! I think you can apply a similar logic to moving abroad. It'll never feel 'right' to leave all your friends and family, and you'll probably never feel like you have all the money you need but my advice would be to get working hard on your job at home and save up as much as you can. Then find a job in the place you wish to live in: apply to as many companies as possible, find contacts through LinkedIn and email them directly to improve your chances and the rest will work out! I plan to write a full post soon with some tips on how to save money for travel by cutting down on your day-to-day spend as it is easier than you think. If you want to chat about living abroad, or have any questions on moving to Singapore then I'd love to hear from you. Please feel free to follow my travels and DM me on Instagram, Facebook or find me on Twitter. OMG I love it so much - so inspirational! 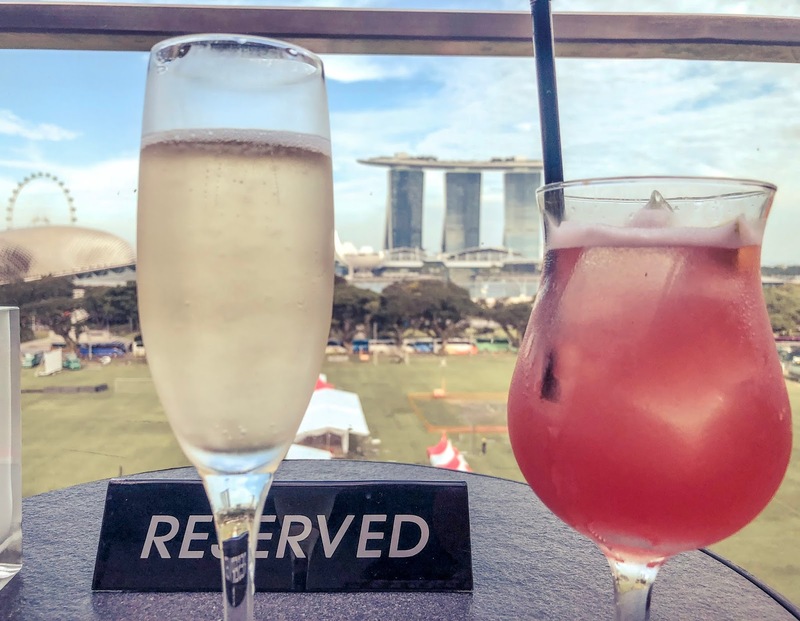 People always tell me I'm brave for relocating to Newcastle when I didn't know anyone, but moving to Singapore! Wow! That really is something to write home about! Thanks Chloe that's lovely! It seems to have worked very well for both of us :) I wish I could stay longer but the toon beckons and I can think of much worse places to be... luckily I've got your blog and insta to get me excited every day about all the things I can do and eat when home! What an inspiring read. I am determined to get a remote job at the moment as I hate office life and would love to spend more time at home. I know I'm only 19 but I'm a determined little human! I would love to one day move to the US or to Canada with my partner. Maybe we'll save up and go one day. Even his parents are encouraging us to go! I'm glad you enjoyed it. You should totally do it, especially if families are supportive! You will never regret giving it a shot! This is such a great post! I absolutely agree with you - there is never a 'right time' to do something. For years, I wanted to leave my hometown in Tenerife and move to London; I won a scholarship to study abroad while I was in Uni and those months in London were amazing. I instantly fell in love with the mix of cultures and the vibrancy of the city. But it wasn't the right time to move. After graduating from Uni with two degrees, I got my dream job and it still wasn't the right time. But after a couple of years I decided I had to do it; if I didn't do it then, I was never going to. And I did it - I moved to London almost two years ago and it is one of the best decisions I have ever made. I travel internationally much more now, I go on weekend escapes around the UK with my boyfriend and I write a travel blog! I am glad you also got the chance to experience the same. We sometimes need to get out of our comfort zones, but it is absolutely worth it. Take care of yourself and good luck with your kidney transplant! That's so good, so glad you did something similar! It's the best feeling settling somewhere new isn't it, well done for getting out of your comfort zone and going for it. London is such a great place to live! Your blog is amazing! This was so inspirational! I’ve always wanted to live abroad and this has given me the determination to go for it - really want to spend more time pushing myself out of my comfort zone haha! !